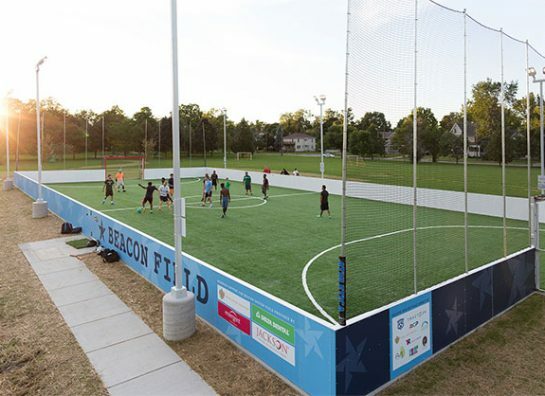 Beacon Field is a community-owned, free-play, LED lit, mini turf field offering the entire community a chance to play soccer! Soccer is the world’s game. From small villages to large cities, the sport is a uniting force for communities all around the globe. Helping to connect people, promote health and well being, facilitate positive interactions and so much more, easily accessible public soccer fields consistently prove to have both healing and invigorating effects on communities and on the people who use them. 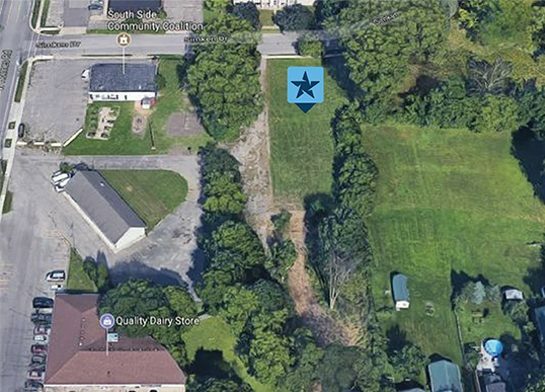 Beacon Soccer Field is a place for a growing sport to be played, without barriers of entry, bringing together Lansing natives and its expanding international community. The fields are a statewide and national model that can connect the sport of soccer with the many families that wish to join the sport, but currently cannot afford it or do not have access. The field provides a stimulating environment for young people and community members to connect and share cultural experiences. These fields will truly enhance parks and neighborhoods nationwide and provide free play for youth with facilities only those with means would typically have access to. Free play has been shown to produce higher levels of physical activity than organized sports. One study found that 43% of youth sports practice was spent being inactive. (Physical Activity During Youth Sports Practices, 2011). Adolescents who play sports are eight times as likely to be active at age 24 as adolescents who do not play sports (Sports Participation as Predictors of Participation in Sports and Physical Fitness Activities in Young Adulthood, Perkins, 2004). High school athletes are more likely than non-athletes to attend college and get degrees; team captains, MVPs achieve in school at even higher rates (US Dept of Education, 2005). A survey of 400 female corporate executives found 94% played a sport and that 61% say that has contributed to their career success (EY Women Athletes Business Network/espnW, 2014).